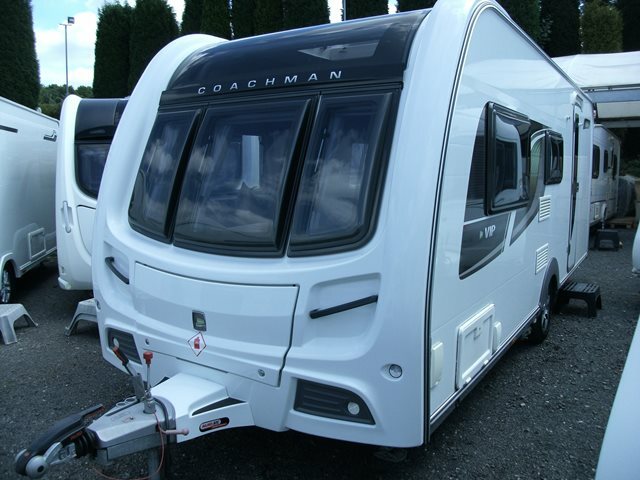 Our used Coachman VIP 520/4 is shown below, for more information please contact us. INCLUDES POWRTOUCH EVO MOTOR MOVER! This VIP 520/4 from Coachman features a classic four berth layout, it has two large bench seats to the front, a side dinette with fold up bunk, central kitchen and end wash-room. The VIP has an excellent level of specification with alarm, microwave, AL-KO ATC, omnivent, external mains and BBQ points and panoramic front sun roof. The 520/4 also comes fitted with Powrtouch Evolution motor mover for easy positioning! For further information please contact us on 01384 636465 and ask for a member of the sales team.